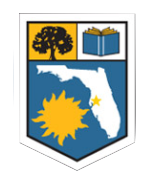 The Florida Genealogical Society – Tampa (FGS-Tampa) supports the use of social media (e.g. Facebook, Twitter, and blogging) at its events, including the society’s annual seminar. Event attendees are allowed and encouraged to promote, critique, and review the conference, its exhibitors, speakers, and activities using these forms of media. Attendees are prohibited from recording the proceedings of any lecture or workshop session by any means, including but not limited to photography, audio recording, video recording, or verbatim transcription, without expressed written permission from both FGS-Tampa and the lecture speaker prior to the event. Some sessions will be professionally audio recorded and available for purchase after the event. FGS-Tampa reserves the right to take photographs, videos and/or audio recordings at events and to incorporate them into advertising, marketing and publicity and their FGS-Tampa-managed social media sites. Permanently deny access to FGS-Tampa moderated social media to any individual, organization or corporation engaged in activities or commerce that is determined to be offensive, illegal or incompatible with the goals and objectives of the society.